What's your favorite quote? "A leader is best when people barely know he exists, when his work is done, his aim fulfilled, they will say: we did it ourselves." -- Lao Tzu What do you like to do in your free time? I enjoy yoga, running, taking the pups for walks, working out with my husband, spending time with my very large family, dancing, reading, traveling, and photography. In a sentence, why do you enjoy working at your company? 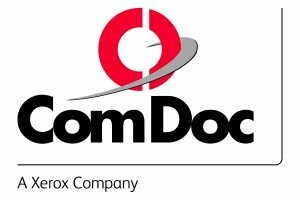 ComDoc has provided me with opportunities to push myself beyond where I ever hoped or dreamed I could go. The word "no" isn't said very often to me and my sometimes wacky ideas have been encouraged. In a sentence, how does your company have fun on a regular basis? This would be hard to describe briefly, but some recent examples are dock parties, picnics and talent shows! In a sentence, how would you describe the employees at your company? Our Values Statement probably says it best: We are Accountable, Decisive, Ethical, Passionate and Trustworthy.